The pilgrimage of Char Dham yatra is considered very pious in Hindu mythology and one must visit the holy destinations ones in his lifetime. The tour of the blessed abode of Gods and Goddesses provides ultimate soul enrichment and salvation. This morning depart for Barkot, located on the foot of Yamunotri. Drive via Mussoorie and visit Kempt Falls on the way. On arrival at Barkot, check-in to your hotel/camp. Rest of the day is free to relax and store your energy for the Pahad (hiII) Yatra of Yamunotri the next day. Dinner and Overnight stay at Barkot. Early morning you get up before dawn and after taking bath you are at the temple by 4:45 am for the 'Abhishek' to Kedarnath Shiva. Everyone can go inside Garbha Griha and touch the idol. You can also prostrate with your head touching the deity etc. After darshan and puja you come out of the temple and return to the Camps / Lodges. Later you'll start the return trek of 20 km from Kedarnath to Sonprayag. The vehicles wait for you in Sonprayag Car Parking and you'll drive to your hotel (Sitapur). Dinner and Overnight at Sitapur Or Rampur. Early morning, after breakfast, you drive downhill to Rishikesh a spiritual city and the Yoga capital of the world. On reaching Rishikesh you'll do the Rishikesh sightseeing visit Ram Jhula and Laxman Jhula. Evening drive to Haridwar and drop at Railway station for your departures. At this last day, our services concludes here in Haridwar. But the passengers those are looking forward to have departures from Delhi Or want to make one more night in Haridwar can ask our assistance regarding these services to be arranged by paying nominal costs. We wish here the prosperous and spiritual , healthy life ahead and may you have all blessings from the almighty Godheads and abodes. 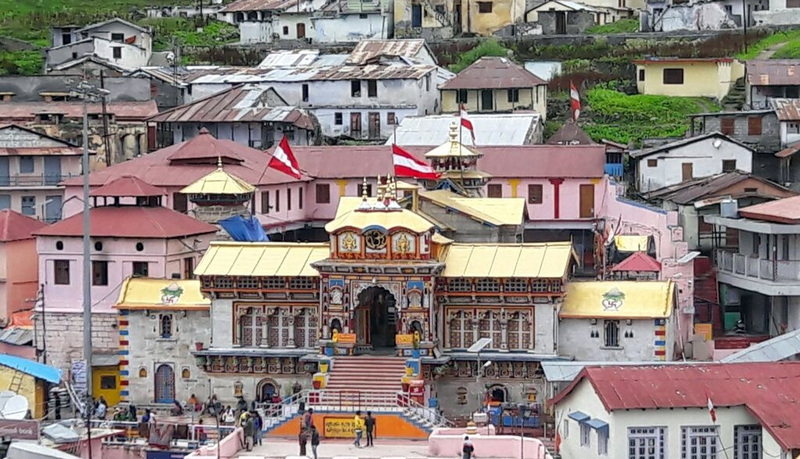 Jai Kedarnath Ji ! !